This family-run estate of Jean-Luc and Marie-Lise Dorthe is nestled in an area rich with human history, between the Northern and Southern Rhône in the tiny village of Saint Marcel d’Ardèche. A truly family-run winery, Jean Luc has personally done all the winemaking and growing work until bringing in an assistant to help him with pruning and weeding in 2006. Their marketing department is the kitchen table. Until visiting the US on a wine trip in 2001, Jean-Luc had never left his village of 1000 residents. Located on historic lands 3 miles from the famed Neanderthal Cave Paintings of Ardѐche, France, their vineyards are laden with artifacts including 40,000 year old arrowheads. The Romans once cultivated wine here and the area is rich with ancient ruins. The Roman coin shown on the Marselan and Rosé labels is one of many found in their vineyards. 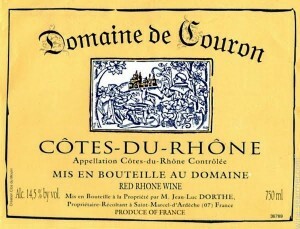 Grenache, Mourvedre and Cinsault were planted here in the early 1300s, and in 1937, the lands of the Domaine were among the first officially classified in the appellation of Cotes de Rhone. The Dorthe family has been wine growers since 1860, sold their grapes to both Chapoutier and later to Etienne Guigal until 1998, and started their Domaine in 1982. They farm using sustainable and occasionally organic techniques of Lutte Raisonnée since 1993, naturally following centuries without ever using herbicides. The vines are close-spaced at 1 meter along each row in each of their rocky, terraced hillside vineyards. As a grape farmer Jean-Luc doesn’t winemaking want to interfere with his farming. The grapes are all hand-picked by the family, finishing before sunrise and arriving at the winery cool in temperature. Hand- sorted, the grapes are native yeast fermented at cool temperatures (reds in concrete tanks, the Rosé in stainless steel) never using oak. Their wine cellar is spotlessly clean, where they bottle unfined and only course-filtered. From 35 year old vines, this stunningly fresh, aromatic and pure 80% Viognier and 20% Grenache Blanc is made with no oak in their cold cellar. Exuding honeysuckle, sweet melon, ginger, ripe nectarines, rose and apricot, it offers creamy texture yet bright acidity. Blended of organically grown, equal parts Marsanne, Roussanne and Grenache Blanc, this lovely Rhône white reveals a nose of yellow stone fruits, minerals, flowers, and tropical flowers. Flavors repeat the nose in a lush, round, mouth – coating texture, finishing with lengthy echoes of the same aromatic and flavor profile. Fermented in cement, only the Roussanne ages in a neutral oak ca sk before blending and bottling 3 months after harvest. Only 126 case imported of the 300 cases produced. A small Grenache vintage, the 2017 was hand harvested from reds planted exclusively for Rosé. This 95% Grenache (5% Carignan) is de-stemmed, cold-soaked 4 hours for color before pressing, then cool-temperature, stainless-fermented. Made without oak. A bountiful bouquet of fresh strawberries, watermelon and citrus zest leads to a fresh full-flavored, but light-bodied mélange featuring light raspberry, watermelon, strawberry and a lingering finish. Typical of French Rose, it is meant to drink over the next 3 years. Red Blend “Little Canyon” 2016, Vin de Pays Des Coteaux de L’Ardèche 13.5% Alcohol New Wine! Soft, supple and easygoing with a nice array of black and red fruits, subtle herbs and earth. It is blended of 50/50equal parts Serine Clone Syrah and Grenache, organically grown on alluvial soil flattened by the Ardèche River. Made without oak. “Little Canyon” is a celebration of the nearby, steeply dramatic Ardèche River Canyon, and the ancient cultures that lived there and near the winery. A perennial Wine Spectator “Best Buy” and “Best Value” this vintage delivers. Big lush and layered, this crowd-pleaser delivers black and blue fruits, spice and hints of smoke in a creamy texture, finishing with deep flavors lasting quite long. It is harvested from 47 year old vines in 3 passes, ruthlessly hand-sorted, de -stemmed and cool-temperature fermented in cement tanks (without oak) to reveal alluvial and limestone soils. The vines include 3 clones of Grenache (60%) and 3 clones of Syrah (40%). Elegant, sophisticated and full bodied, offering complex aromas and flavors of layered blueberry, plum, cherry and minerals, with a lovely spice on the very long, polished and alluring finish. Grown organically in a select site at the top of a hill with special Alp-rock- filled soils. 50% Grenache, 30% Mourvedre, 20% Serine Clone Syrah. It is harvested from 50 year old vines in 3 passes, ruthlessly hand-sorted, de-stemmed and cool-temperature fermented in cement tanks (made with no oak) to reveal clay and quartzite soils. Marselan is a sophisticated and geeky new French varietal, a genetic hybrid of Cabernet Sauvignon and Grenache created in 1961. With dark blue fruits, floral notes, anise and game meats, power and acidity. A fine wine varietal with thick skins, small clusters, tiny berries, yields under 2 tons/acre and late-ripening, it ferments like Cabernet, retaining high acidity. It was picked in 3 passes, de- stemmed, hand sorted and then cool-temperature fermented in concrete vats (no oak at all). Vines planted in 1971. 1000 cases. Marselan History: During the late 1950s in France a number of experimental varietal hybrids were created in search of high-yield varietals for industrial-scaled table wine production. Marselan was created in this search, but did not cooperate with the industrial wine goals. 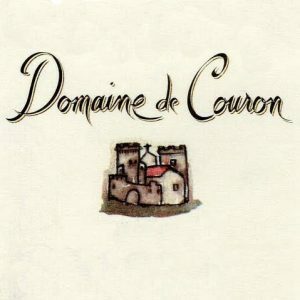 Marselan instead turned out to be a fine wine varietal, as it has tiny berries, small clusters and a very low yield, and was embraced by Domaine de Couron for its unusual, delicious and enjoyable qualities. The varietal will not produce in dry soil, needing its feet wet to eke out small yields of under 2 tons per acre, producing tiny grapes with thick skins and very little juice that remains brightly acidic even when picked at full ripeness.